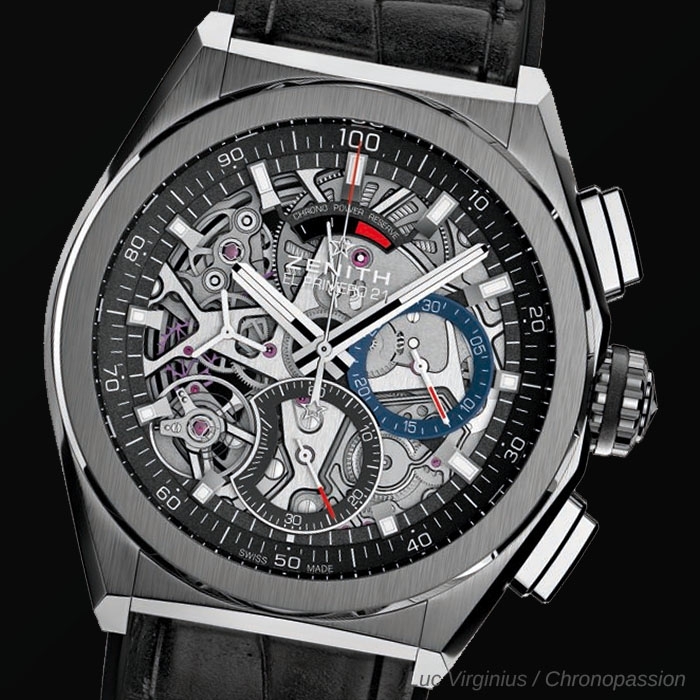 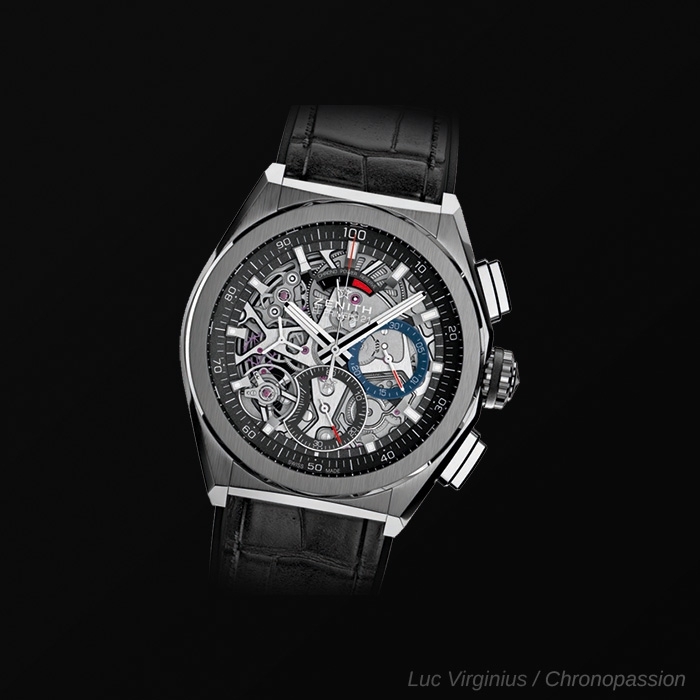 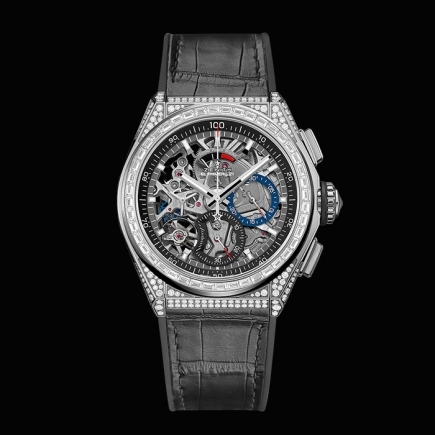 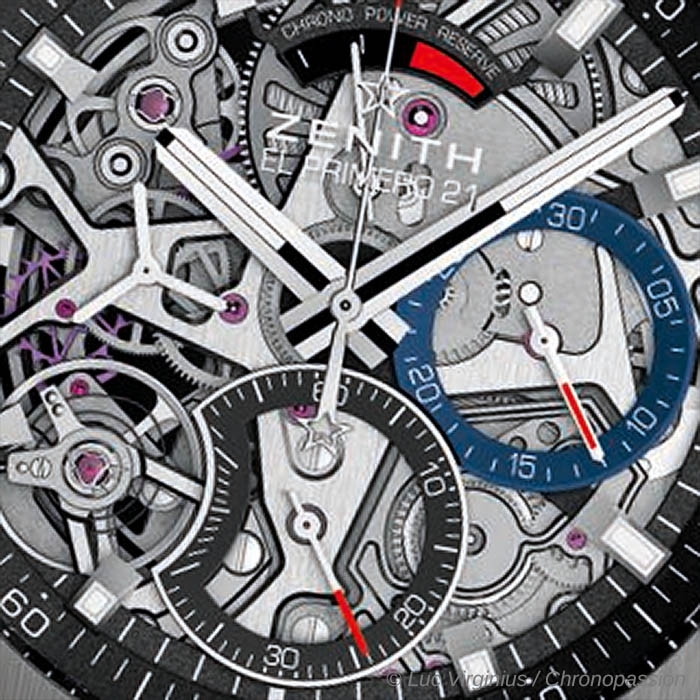 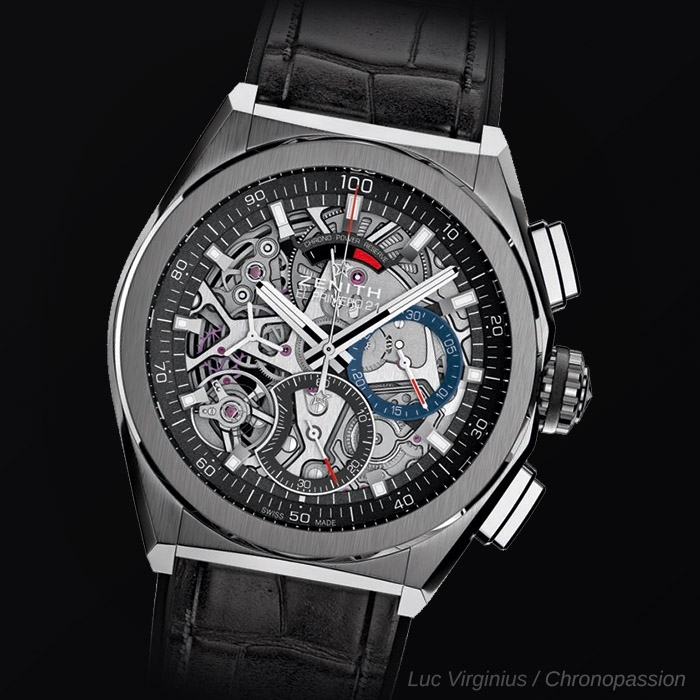 Zenith | 11'100 € Tax inc.
Swiss watch manufacturer Zenith has a century and a half behind it and is resolutely taking its place in the third millennium with a new 100th of a second chronograph movement. 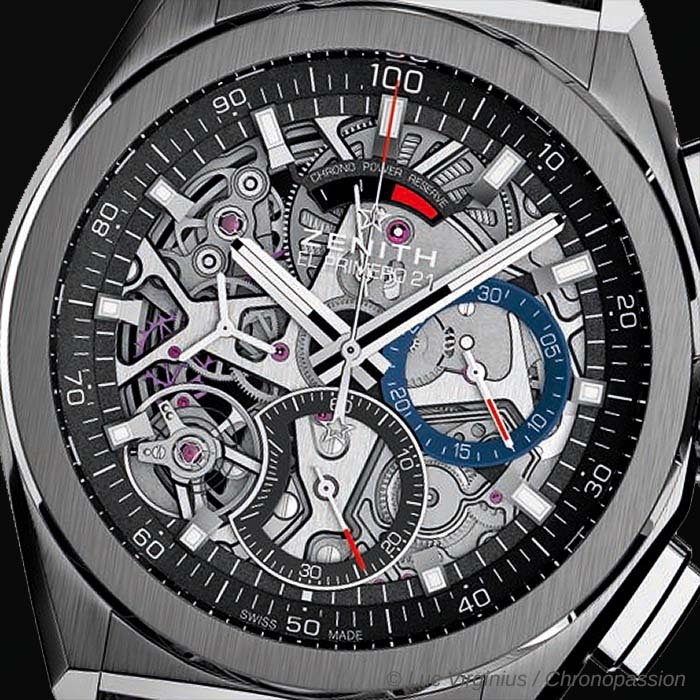 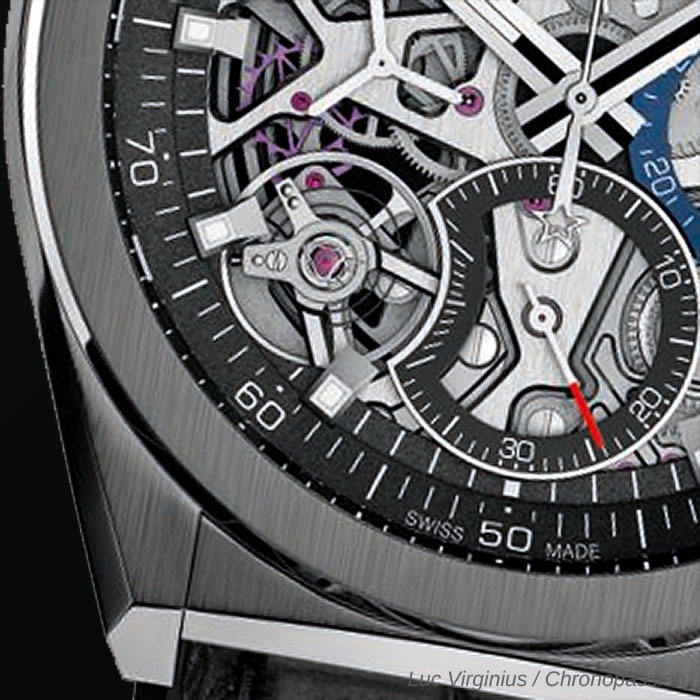 While remaining true to its legendary roots, the 21st century Defy El Primero flaunts standout performance: a certified in-house movement driving a hundredth of a second display by means of a central hand, with its unique and exclusive dynamic signature of one rotation per second. 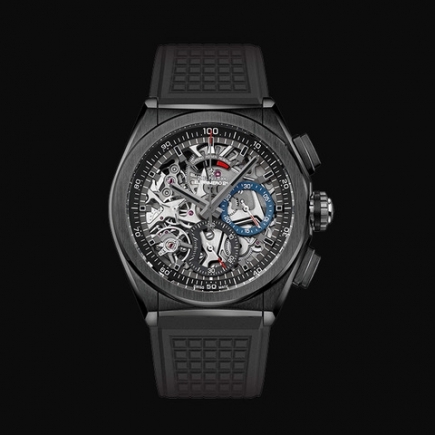 Its double-chain structure is based on two regulators, made of Carbon-Matrix Carbon Nanotube composite, a patented new material that is insensitive to magnetic fields and temperature gradients to a degree well above existing norms. 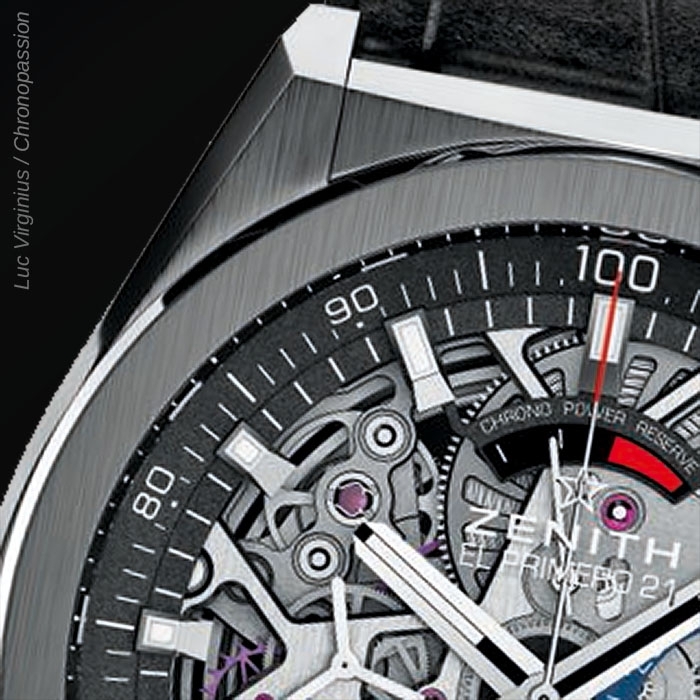 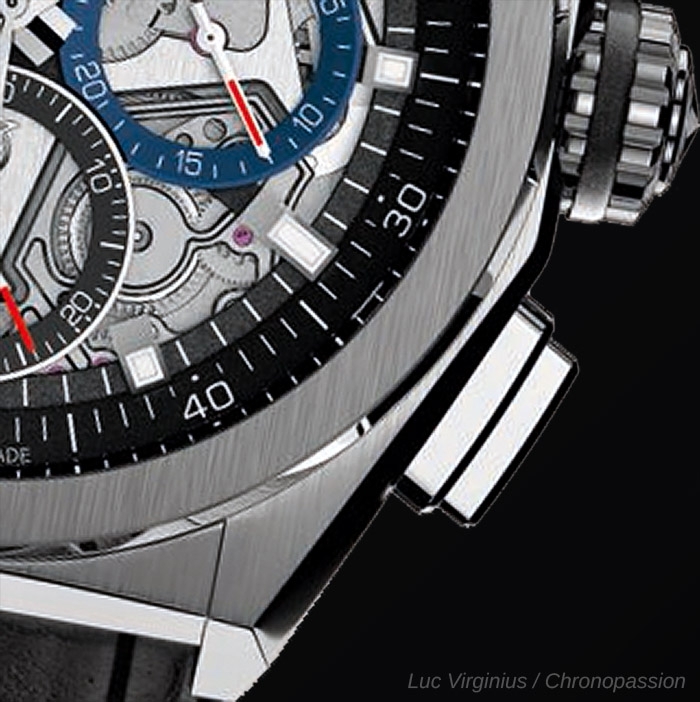 With its powerful 44 mm titanium case, Defy El Primero 21 becomes the master of extreme precision. 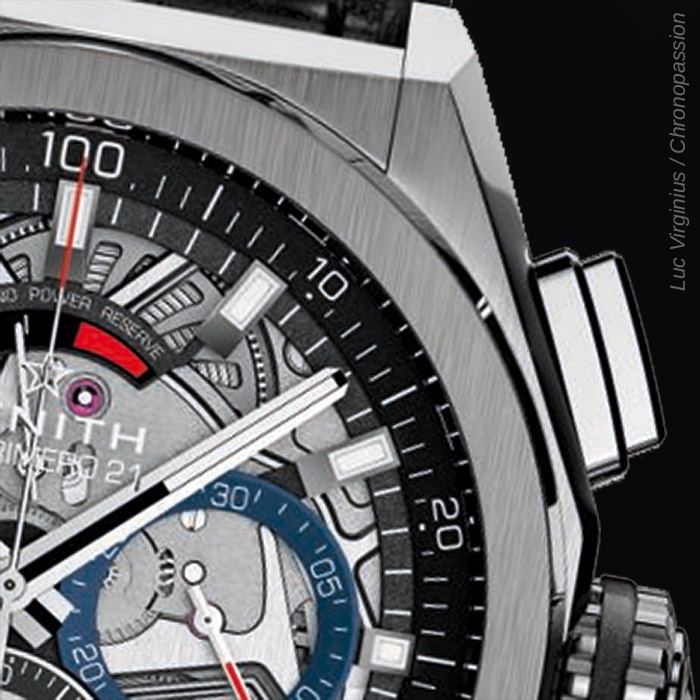 The world’s most accurate series-made chronograph in 1969 enters a whole new era.